SBWL265 had the most liked content! Ditto last comment. The dark grey looks great! Enjoy the car mate. They're food fun! Very nice mate! Looks like it's begging for a good fun twisty drive! That's a nice tidy looking 225. Has it got the cup chassis? 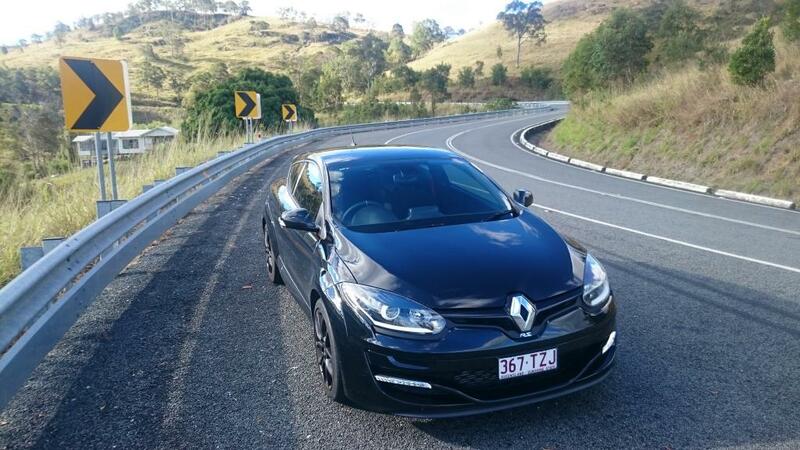 Nice Clios as well mate, welcome to the forum and good luck with purchasing yourself another Renault Sport. I'll let the technical questions be handled by someone more in the know. Haha, stole my thunder, must have posted this as I was writing my response! Sorry to revive an older thread. But firstly, welcome to the forum! Beautiful car! Have you done any mods to it yet? I removed the air filter foam and it did change the sound slightly without being at all intrusive. I too have thought about mid muffler or back box delete. I'm now thinking about a scorpion cat back instead. My question for anyone who knows though is on the airfilter. I tried searching but this seemed the most relevant thread. I like the idea of an upgraded panel filter. I recognise it won't give a discernible power gain. It may give a slight noise change but that's about it. But as a mental thing I just like the idea of being able to say I've done the upgrade. Stupid as that is. However that's where my question comes from, I won't get a filter that doesn't filter as well.. K&n and bmc would always seem to be the safe bets but then I've heard people on other Renault forums write about how the oil from these filters has coated their intake tract and ruined mafs. That made me think a non oiled filter would be best? Otherwise I'll just stick with the paper which has no downsides besides being disposable. Opinions of the majority? Hey mate, I'm a relative newcomer to this forum but can give some insight. The engine in the 175 is the same Nissan diesel in the xtrail manual. My mate has owned one of those for 150,000kms and never had a single drama with a dpf or anything. The engine, whilst being a diesel almost revs like a larger petrol motor and isn't as asthmatic up high as most diesels. I've been in his xtrail and was very impressed. Plenty of power and heaps of torque plus a wide power band for a diesel makes it pretty good to punt along. They don't seem to have a high failure rate for the dpf in them compared to a lot of modern diesels. If it did fail I would remove it and run the risk. I know there is a workshop in Brisbane that removes them and has the legislation and believes he can justify the removal based on repair costs etc making it a financial hardship or something to replace as they are often upwards of 6000. It was a while ago I read about him but he used the legislation to back his argument, whether it would hold up I don't know. Anyway back to the Megane. That same mate has driven a million cars and his best friend got a Megane 175. My mate drove it and was very impressed with it. Said it handled extremely well. Similar suspension to the cup from memory but with changed spring rates as the diesel is much heavier. I'd imagine on the limit they'd understeer more due to lack of lsd same(same story as 225) and additional forward weight. I'm rambling now, sorry. But basically, for a diesel hatch I doubt you could find something more sporty or more fun. 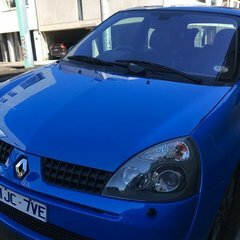 That said, I love a nice turbo petrol and the Megane 225 would be a great little car and I think you'll find you can get them a lot cheaper due to the relative rarity of the diesel. Nice mate! I haven't driven the latest Clio but every other Renault sport I've driven has won me over. They have great character. Hope you enjoy it! Finally I Have A Megane Rs! Got a good drive in today. Mt Glorious and Mt Nebo and then Goats Track just for some photos as I knew my car was already filthy anyway. Exactly my thoughts. I drove one on average rubber. Tyre squeal at moderate to slow pace in a Megane is not on.. I think when my pilot sport 2 sign out I will look at pilot super sport. Sport maxx rt also get a great review. Haha. Yes I'm expecting the front tyres will be one of my biggest expenses. They aren't a car you'd bother with cheap tyres on, and with all that power and braking and handling ability I'm thinking I'll be lucky to see somewhere around 10000 more kms. But the current tyres are original and have 18000. So the driver before me did alright..
Yeah, agreed on the diff. It's beyond impressive just how much the grip increases as you fee dower in mid corner and its shuffled outward to that weighted up wheel.. In all but a tight first gear corner it I actually as effective as what my wrx was at putting power down. Requires a little more thought but is ultimately much more capable. Sits flatter. Especially when joining multiple corners together. The big thing is whilst the wrx could put the power down without wheelspin, if you asked too much of it it would tend to push outwards. That said, I had some very good drives in the wrx and it proved itself very capable. The Megane just feels better in almost every instance. Thanks to the guys with the detailing advice. I will message. I need a professional detailer now as the car was scratched from nose to tail today! I couldn't be more cranky! Drove over Mt glorious and as I came back over past the Cafe at the top there was a dead overhanging branch a good 1.5m into my lane. I picked it up when I was probably only 10m from it but there was a car in the other lane so I couldn't swerve. Gutted. Could cry looking at it! Was a good day till then! Appreciate your input. You've just talked me out of trying it myself. Haha. I've sent carcareproducts a message to see what they would charge. Hopefully I can afford to get it done soon.